You may have seen in my other posts that I am giving up diet soda, and really I don't have much interest in sugar laden soda. My solution to this dilemma? Tea! Natural, healthier, great tasting tea. So many to choose from, you can have tea every day and still keep your taste buds guessing. I was able to review two teas from the Tea Gallerie. Green tea is usually not the first one I would choose, but when you add in Tangerine it makes it wonderful! This was a very flavorful tea, and I actually brewed it strong and used it as an iced tea and it tasted great. This was a low to medium caffeine which was perfect for me. The Passionfruit Black was very fruit flavored and again made a fantastic iced blend. As we move into fall I suspect I will be having more hot tea, but the summer months I do prefer the iced. This tea is a black tea infused with marigolds and passion fruit. I love how this loose leaf tea is so beautiful to look at with the variety of items in it! Sure beats your common tea bags in flavor for sure. I love that all Tea Gallerie teas are Fair Trade and USDA certified organic. 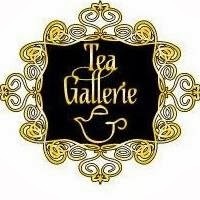 Tea is not supposed to taste bland and boring, not with the huge variety that Tea Gallerie offers. I would love to try their Flowering Teas, I have yet to try this kind of tea and it looks so interesting! I also am intrigued by their Kids line of teas. These look fruity and yummy enough to get our kids to stop drinking unhealthy kool aids and sugar laden drinks. Caffeine free. Enter to win the same teas I reviewed!! The kids set got my attention too! I'd love for my daughter to get the mango tea. I think she'd love it! Either Jasmine Pearls or the Earl Grey Crème. I thing the ROYAL MATCHA green tea sounds good. I would love to try the Chumneee green tea! Oh I'd love to try Chai Zing! I'd love to try the Earl Grey Crème! mint chocolate velvet looks awesome. The white coconut creme sounds good. Moonlight Chai AND I would have to get some Kid's Tea just for those super cute tins!!! I see that they also sell Mate! It's a tea from Argentina that is a big part of their culture. I haven't had Mate in so long, I'd love to try some again! I need glass tea cups to try the flowering teas!! I would love to try the Spiced Raspberry tea. I would like to try the Green Pomegranate tea! I would like to try the coconut chai. Thank you for the giveaway! I'd like to try the Darlin' Darjeeling! I would like the Chocolate Chai. I'd like to try Peachy Lemon Bliss. I'd like to try PISTACHE NOIR! I would try their English Breakfast Tea. Royal Matcha Green Tea would be great! I'd like to try their English Breakfast tea. I'd love to try the Darlin darjeeling tea! This tea looks fantastic! Would love to try the CHOCOLATE ORANGE. They have such an interesting variety! I think the Lavendar Earl Grey sounds good. I'd like to try the dragonwell tea. I would like to try the caramelized apple or the christmas brew. The flowering teas also sound good. I would like to try the blood orange tea. Thank you to all for entering! Don't forget to keep us in mind! Holiday season is here and orders of $50 or more have FREE shipping to anywhere in the world! Happy Holidays!